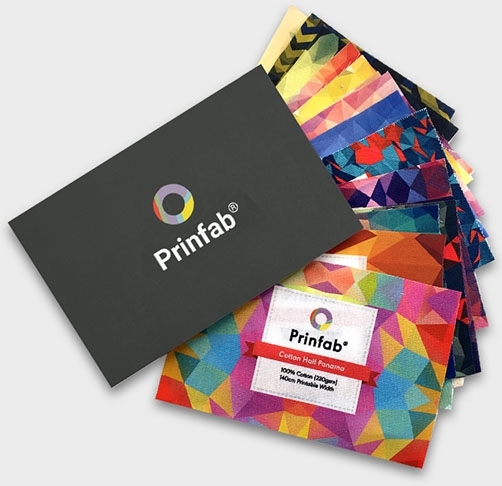 Prinfab can print any design and offer a wide range of base fabrics suitable for many applications. We use eco-friendly water based pigment inks and treat our fabrics to ensure they offer excellent durability. Our fabrics will burn if exposed to flame or direct heat. They have not been treated with fire resistant chemicals but you may post treat your fabric before use. Woven natural fibre fabrics may contain loose fibres and other imperfections. Although all of our fabrics are processed before printing, they may contain imperfections which are characteristic of that particular fabric.